Hi everyone, just a quick post today. As is typical for me this time of year, my cards seem to jump back and forth between the fall holidays and Christmas. 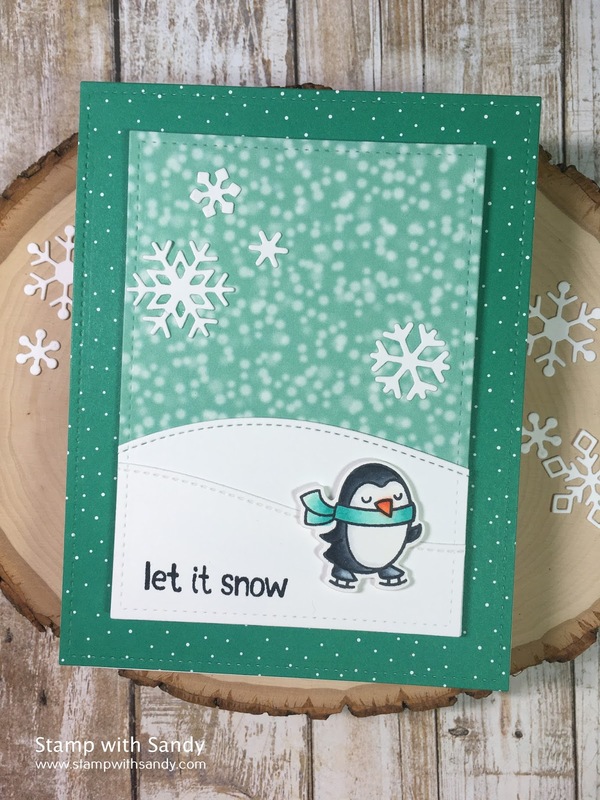 Today's simple card features lots of goodies from Lawn Fawn. I love the peaceful solitude of this little penguin, quite content to be out in the snow. 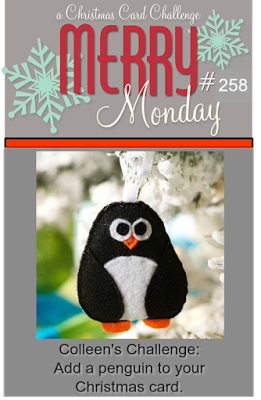 How adorable is this little penguin on the Merry Monday challenge badge? So cute! 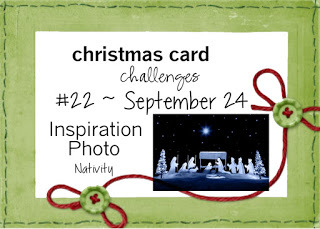 I'm also playing along with Anything Goes at Christmas Card Challenges. We were on the same wavelength this week...your little penguin is just adorable! Adorable card. Love the cute penguin and the pretty colors. Thanks for joining us at Merry Monday. This is simply adorable...just love this sweet penguin! Thank you so much for playing along with us at Merry Monday! Love the Non-Traditional colors! I am going to stretch my boundaries and try this color combo! So cute! I love this color and your fun penguin! Super cute! 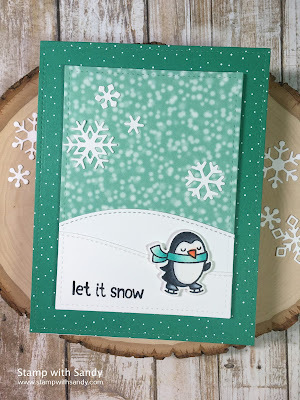 You can never go wrong with penguins - thanks so much for joining us at Christmas Card Challenges.